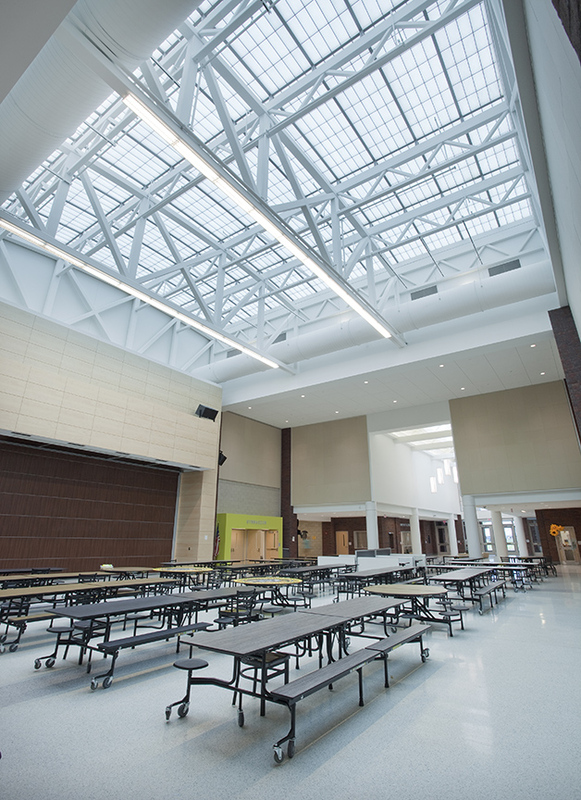 Guardian 275® skylights and canopies provide built-in sun control, eliminating many of the issues common with traditional glass systems. Their aluminum framing and sandwich panel construction also makes them strong but lightweight, often reducing the need for additional support structure. Guardian 275 systems feature advanced Ultimate Series™ face sheet technology for long-term dependability, and can be configured with thermal breaks as well as numerous insulation options for enhanced performance in more demanding climates. Guardian 275 panels are also available with a variety of sheet color options, and panel insulation can be tinted to create a stained-glass look or to incorporate school or logo colors. Smaller sized, single slope and pyramid skylights can also be partially assembled prior to shipping, allowing for faster installation. As with our Guardian 275 wall systems, skylights and canopies are also available in our TransCURVE™ curved system configuration, providing an eye-catching design element. Chico, California’s picturesque buttes served as inspiration for the city’s new courthouse, complete with a cupola that pays tribute to the nearby rock formations. 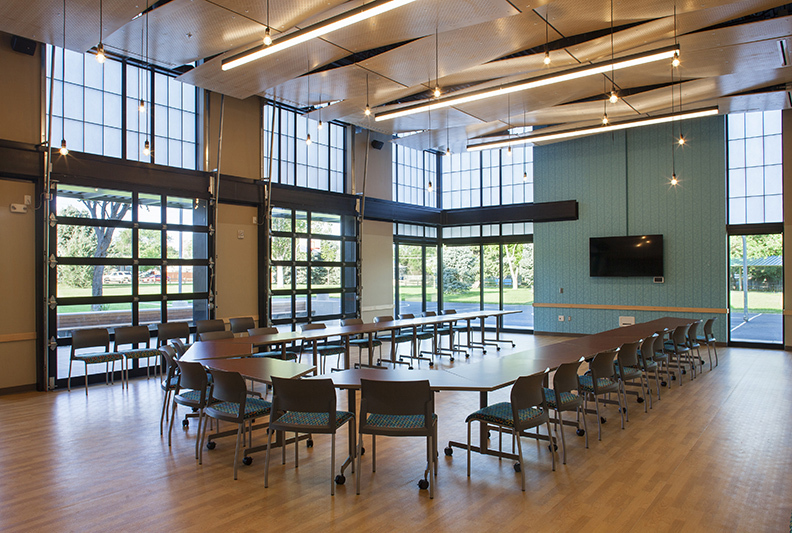 Creating a comfortable space in the entry, though, required overcoming several challenges in the design of the building’s steel curtain wall system. Grafted onto the 19th-century brick remains of Georgia’s Savannah College of Art and Design (SCAD), Museum of Art is a 26-m (86-ft) tall, semi-transparent channel glass tower, the first application to use hurricane-rated channel glass in a horizontal, dual-glazed configuration without additional support. Students living at New College House will benefit not only from improved daylighting and views, but also from enhanced sustainability thanks to the building’s curtain wall, window, and sun shades.